Principal Cast : Jennifer Lawrence, Joel Edgerton, Matthias Schoenaerts, Charlotte Rampling, Mary-Louise Parker, Jeremy Irons, Ciaran Hinds, Joely Richardson, Bill Camp, Thekla Reuten. Oscar-winning actress Jennifer Lawrence re-teams with her Hunger Games director Francis Lawrence for Red Sparrow, a slick, espionage spy-thriller crafted from the pages of Jason Matthews’ successful novel. Foreboding, violent and tense, Red Sparrow bristles with intrigue and JLaw’s solid leading performance, a well manufactured throwback to pulp spy genre entries of days long past. 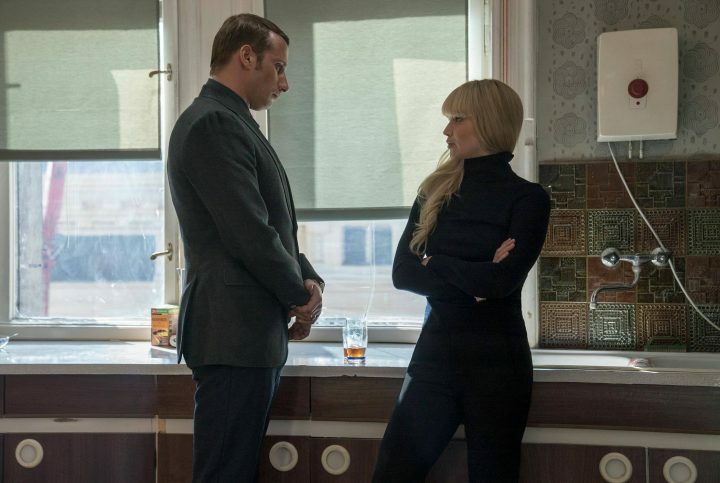 Definitely not for the squeamish or faint of heart – Lawrence’s character suffers a significant physical injury early in the movie that’ll make you wince, a precursor to the film’s visceral realism – Red Sparrow’s malevolence and grim undertones make fascinating, if a touch hard-boiled viewing. Russian Bolshoi prima ballerina Dominika Egorova (Lawrence) suffers a career-ending injury following an accident; unable to adequately care for her ailing mother (Joely Richardson – Anonymous), Dominika’s uncle Ivan (Matthias Schoenaerts – Suite Francaise) approaches her with an offer to work for Russian intelligence. After her first “assignment” goes wrong, she is betrayed and buried inside the organisation, only to cross paths with CIA Agent Nate Nash (Joel Edgerton – Exodus: Gods And Kings, Bright) who quickly realises what and who she really is. Trained in a harsh camp for inductees, Dominika becomes a “red sparrow”, an operative who uses her sexuality to achieve certain ends to complete her mission. There’s a lot of same-old, same-old in the Lawrence’s Red Sparrow. The premise isn’t new, nor does it attempt to reinvent the wheel, so a strong argument can (and should) be made for the film being a tired old retread of hoary cliches and genre references. The idea of a broken young woman being turned into some kind of sexual superspy might elicit some lukewarm tones of familiarity – the story bears a strong resemblance to the Marvel Cinematic Universe’s arc for Scarlett Johansson’s Black Widow, including a ballet-inspired flashback – but through sheer willpower both Lawrence Jennifer and Lawrence Francis deliver a film that works mainly through its omnipresent atmospheric melancholy and some against-type performances. The film’s screenplay wallows in degradation, primarily the degradation of Dominika at the hands of the Powers That Be around her, and several scenes of sexual activity will draw strong responses from many an unwary viewer, but there’s more than enough nuggety goodness within the tropes and slick production values to warrant investing in a screening. Screenwriter Justin Haythe (The Lone Ranger, A Cure For Wellness) braves lewd, rancid frigid eroticism for the sake of art, and whether the plot and characters are strong enough to justify some of the creative choices made here is probably going to be a key variable for the individual watching, suffice to say I enjoyed what I got and found myself appreciating the film being an antithesis of the more modern Bond-esque trope (something The Man From UNCLE had, but did well) and for that I applaud the effort. As Dominika, Jennifer Lawrence is a force to be reckoned with. 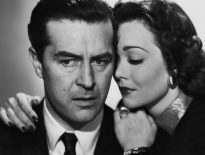 Initially a strong, rational ballerina suddenly cut down in her prime, and made to make an impossible choice, Lawrence builds the character’s external stoicism and strength through several scenes of physical and mental breakdown that will make you cringe more than once, and the film succeeds because of her commitment. 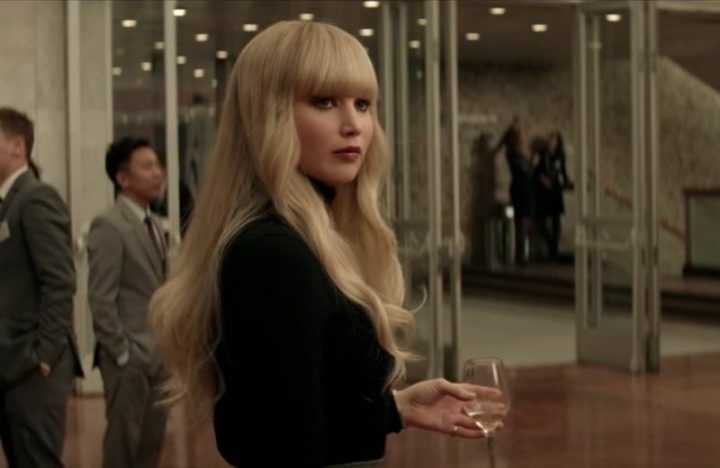 In a lesser actress’ hands, I suspect Red Sparrow might have tippled into salacious exploitation moreso than the hard-boiled political thriller it is, so kudos to the actress for taking this role and actually giving it her all. Perhaps a franchise involving Lawrence, Atomic Blonde’s Charlize Theron and maybe even my personal favourite, Geena Davis’ role from The Long Kiss Goodnight, could be in the offing? No? Ahh well. The weaker of the film’s arcs involves Joel Edgerton’s Nate Nash. For a large portion of the film he twitters away at the periphery of the plot, involved in some sidebar antics for the CIA before he confronts Dominika, and really at no point did I feel invested in his fate, something the film desperately needed to contrast against Lawrence’s. Throwing screen luminaries such as Jeremy Irons, Ciaran Hinds and the wonderful Charlotte Rampling into supporting roles around the pair allows for a really wide canvas of emotion and subterfuge, while a mis-used Joely Richardson – who plays Dominika’s mother – seems included simply for the sake of inclusion. The slippery performance by Matthais Schoenaerts as Dominika’s uncle is as close to a genuine threat within the film, the characters’s double-crossing motivations as prickly and slimy as the film’s pernicious veneer. Lawrence herself offers a more measured, inexplicably nourishing performance in the lead role, convincing with her Russian accent and stone cold fox-like in her eventual transformation from novitiate to professional sparrow. It’s a sparsely written role that manages to broaden itself through Lawrence’s sheer screen presence and performance acumen, the hard bitten femme fatale style seemingly coming easy to an actress still young and developing her skills. When the film is focused on Dominika it’s really very good, but it does dip when Edgerton (who isn’t an acting slouch, it must be said) enters the frame, mainly because it takes soooo darn long to invest in whatever it is he’s supposed to bring to the story. 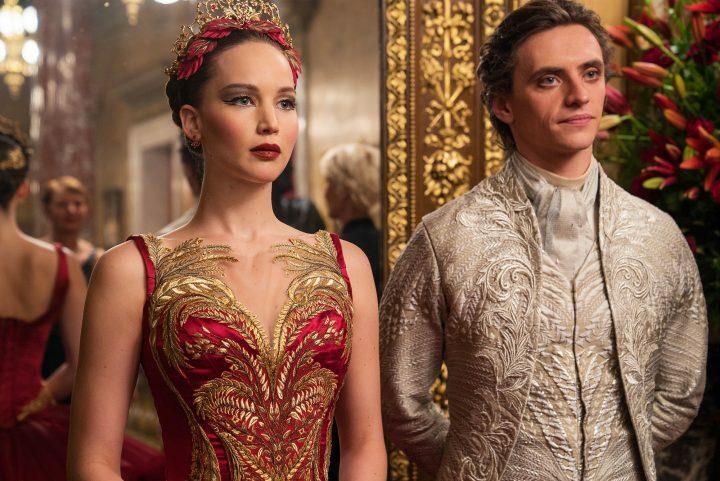 Red Sparrow is a film with grit and hatred coursing through its veins. Whether that entices or repulses you will be the deciding factor in your enjoyment. For me, I really dug this story and actually enjoyed watching JLaw go for broke in this hard boiled spy thriller that lacks overt thrills but delivers on pulp-ish violence and plot shenanigans. It’s hardly a revelation but does enough to grab my attention and deliver something different.